Entire Furnished and fully equipped Cottage. Free unlimited wireless internet included. Walk to beaches, shops & transport. Dive & Scuba on the reef. Easy access to Kangaroo Island and the Fluerieu Peninsula. Please read my reviews. I have provided relocation / holiday homes since 2009. The perfect short term rental home for those starting a new life in Adelaide. Our home is situated on a quiet side street in the seaside suburb of Port Noarlunga. We are ideally situated within walking distance from the beaches at Port Noarlunga and Christies. We are also within walking distance from the Noarlunga shopping centre, library, recreation facilities and transport interchange. We are only a hundred metres from the Beach Road shopping area. For the best equipped and furnished houses in great locations, our Tobies Cottage will cater for your short or long term stay. We have the perfect rental homes whether you’re looking for a quality furnished holiday home, arriving as a new migrant with your family, or visiting as a corporate client. 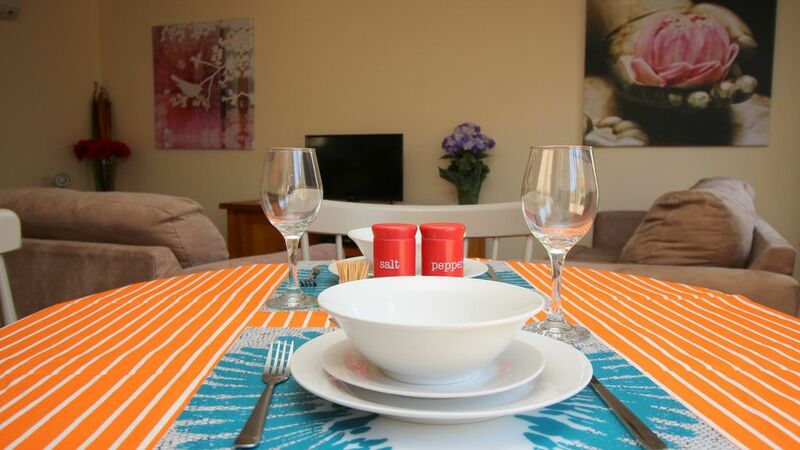 If you take a look at our furnished rental home in Adelaide you can choose our property that suits you and your budget. Queen sized bedroom with queen bed. Lounge – Fully furnished with recliner chairs, coffee tables, TV, DVD player. Kitchen – Fully fitted with all appliances including dishwasher, cooking utensils, cutlery and crockery. Dining room –table and chairs that seat 4 people. Laundry room – Washing machine, iron and ironing board. Driveway with access through carport / garage with electronic door. The side area is securely fenced and has outdoor furniture, barbecue and clothes line. Complimentary tea, coffee, and milk are provided. Short or long term furnished home from home. Whether a short term stay or long term discounted rental our Tobies Cottage is perfect. All our homes are also available as a long term furnished rental at discounted rates. Please contact for a rate. Looking to move here? We are on hand to help. We have a wealth of local knowledge assist you and to keep you informed. We can also ‘meet and greet’ and help with all your migrant issues (drivers licences, Medicare, tax numbers, bank accounts etc). Here on holiday? We can recommend places to visit, to eat out and to day trip. Maps and tourist information booklets are provided at each home. Just arrive, unpack and relax in your Adelaide holiday home from home. Please send us an enquiry if you want to stay longer. I may be able to offer you a real discount especially in our winter months!